At Whiskey Creek Ranch land stewardship and soil conservation are always top of mind. Owners Clay and Jesse recognize that in order to continue using the land to produce livestock, they must invest in the health of the landscape. As an Agricultural Fieldman with a degree in Botany, Jesse has devoted her career to understanding ecology, biodiversity and responsible livestock production. Are you looking for positive land stewards to utilize your land? 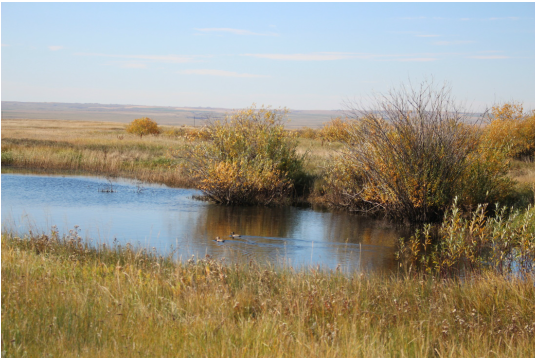 Whiskey Creek Ranch is seeking grassland owners across Alberta and Saskatchewan to partner with in rental agreements. As part of the Whiskey Creek operation, each rental pasture is treated as if it were owned, complete with cattle grazing plans, plant identification, wildlife considerations and water management development. If you are interested, please contact Clay and Jesse to discuss how they can make a positive impact on your land base.